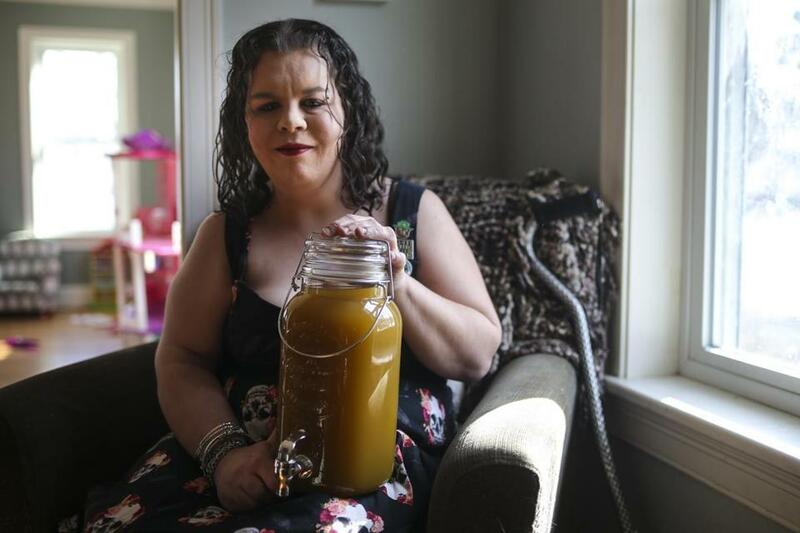 Joanna Varner, a medical marijuana patient Weymouth, wants to open a business that makes cannabis-infused cookies, brownies, granola, and tea. She’s showing a container of marijuana-infused mango tea. But she says the cost for opening such a business is very expensive. Three people from California at Logan Airport, their suitcases stuffed with 150 pounds of pot. Twenty marijuana bags delivered to a Dorchester office. 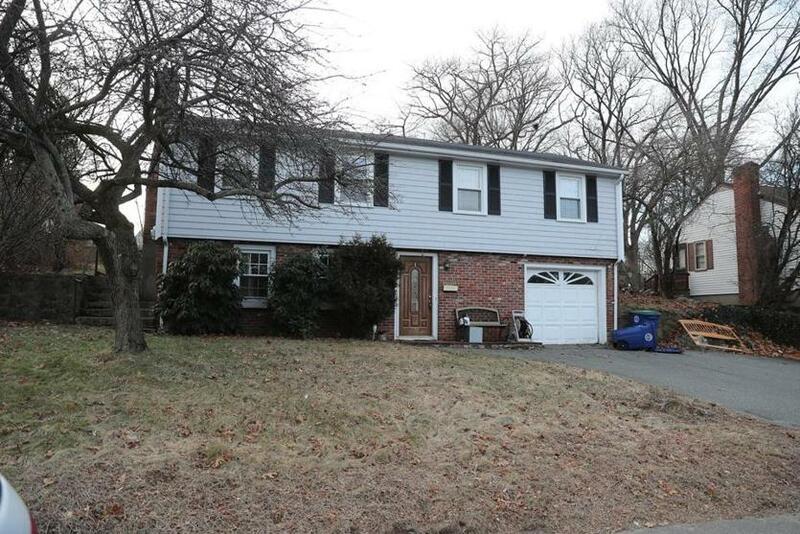 And three houses — in Braintree, Quincy, and Westford — empty save for dozens of cannabis plants. So much for putting the drug dealers out of business. More than two years after Massachusetts voters legalized marijuana, the illegal market remains stubbornly robust: Some 75 percent of the pot sold in the state this year will be under the table. The major impediment has been the achingly slow rollout of licensed pot shops, and at the current rate it could take another three years or more before enough stores are open to make an appreciable dent in the black market. As more states legalize marijuana, they’re finding mixed success shrinking the criminal trade. By some estimates, 80 percent of pot sales in California are done in the shadows, a year after going fully legal. States that have had a regulated recreational market operating longer — Colorado, Washington, and Oregon — have been more successful getting cannabis consumers to buy legal. Maps: Where are pots shops opening? Massachusetts regulators say they have issued licenses as quickly as possible under the law, which requires applicants to first negotiate contracts with local governments — an often long, arduous process. State officials say shrinking the illicit market is a top priority; it undermines tax revenues, hurts legitimate businesses, and supplies kids with marijuana. Police want harsher punishments, but civil rights advocates say that would result in the same kind of racially biased enforcement that legalization aimed to end. Regardless, everyone agrees: Massachusetts’ illicit market isn’t going anywhere anytime soon. With just eight stores open, many in towns far from Greater Boston, consumers say it’s easier to buy from nearby dealers rather than drive an hour, wait in line, and pay higher prices. It’s no surprise, economists say, that unlicensed sellers with regular customers would decline to become legal, given the cost of complying with the many state regulations. Advocates say many people would love to get into the business, but they can’t afford the lawyers, architects, and consultants needed to win a license. McBride said regulators are sensitive to the costs of compliance, and the state commission may consider starting a fund to help applicants or adjusting rules to allow small operators to split startup costs. In the 10 states that have legalized marijuana, the fate of the illicit market has largely hinged on heavy cannabis consumers, said Andrew Livingston, director of economics and research at Vicente Sederberg, a law firm that specializes in the cannabis industry. They are unlikely to buy legal, he said, until licensed stores are competitive with dealers on price, quality, selection, and convenience. Daily and near-daily cannabis consumers account for 75 percent of the industry’s spending, a 2016 study in Journal of Drug Issues found. And they are very price sensitive. California’s struggles today resulted from its long experience with medical marijuana, Livingston said, in which storefronts sprouted all over selling inexpensive cannabis to anyone with an easily obtained doctor’s note. Some of those dispensaries were regulated by local officials but not licensed by the state, Livingston said; growers weren’t licensed, either. So when recreational pot became legal in California last year, dispensaries that wanted licenses suddenly had to source more expensive cannabis from licensed growers, who were few in number because of high testing costs. High taxes also added to the cost. The result: Prices at licensed marijuana stores skyrocketed, while the many unlicensed shops continued to offer lower-priced pot. California and Oregon, where outdoor cultivation flourishes, have struggled with too much marijuana for their home markets. Prices fell dramatically in Oregon, to an average of $5 per gram, or sometimes as low as $100 per ounce — about one-third of current prices in Massachusetts, Livingston said. That’s encouraged some Oregon growers to sell their crops in states where the drug is illegal and prices are much higher. McBride said Massachusetts hopes to avoid replicating the Oregon situation by closely tracking how much legal cannabis is grown and sold. Colorado and Washington, which in 2014 became the first states with recreational pot shops, have had the most success getting consumers to buy legal, according to BDS Analytics, a cannabis market research firm in Colorado. The firm estimated that in 2018, one-third of pot sales in Colorado, and 39 percent in Washington, occurred in the black market, compared to 48 percent in Oregon, and 82 percent in California. In Massachusetts, meanwhile, BDS predicts that in 2019, the black market share of pot sales will fall slightly, to 76 percent, from 90 percent last year. This home at 350 Shaw St. in Braintree was one of three marijuana grow houses raided by police on Wednesday. Three people are being charged with trafficking. For now, prices at the few stores open in Massachusetts aren’t all that different from the street prices that consumers are reporting on PriceOfWeed.com, a website where buyers submit information on their purchases: around $350 per ounce. Yet that’s still not enough to persuade some consumers. Some say they would switch from their dealer to a store for its wider selection and lab-verified quality, if prices and location were better. But they’re in no rush. “It’s like going to Whole Foods and buying organic, but you grew up going to McDonald’s and you’re still alive,” said Marc Hedges, 47, a handyman in Cambridge. But the legal market likely won’t make inroads until there are at least 50 shops open, Livingston said, and probably not in a major way until there are 100 to 150, and prices fall noticeably. At the current rate of store openings, that could take three years. Law enforcement officials argue the illicit market will never go away. Based on the experience of other legalized states, they believe criminal organizations — some domestic, some from China, Mexico, or Cuba — will establish growing operations in Massachusetts to sell marijuana in states where it’s prohibited. For the most part, DeLena said, illicit marijuana in Massachusetts is either grown here or comes from California, Canada, or Mexico. There are signs that widening legalization in the United States has affected the Mexican drug cartels — border seizures of cannabis have plummeted in recent years, while seizures of methamphetamine and fentanyl have increased. It’s nearly impossible to measure the illicit market. Police estimate they seize 10 to 15 percent of illegal marijuana. In 2016 and 2017, the New England High Intensity Drug Trafficking Area seized more than 5,200 pounds of marijuana in each year. In December, two women and a man were arrested at Logan International Airport. Troopers said they smuggled 150 pounds of pot in suitcases from Sacramento. In January, police raided empty homes in Quincy, Braintree, and Westford and busted illegal growing operations. Officials disagree as to how best to tackle the illicit market. Walpole police Chief John Carmichael, who is on the state’s cannabis advisory board, wants stiffer penalties to deter lawbreakers and raise prices on the black market. Dealing pot, he suggested, should be a felony; currently, distribution of up to 50 pounds is a misdemeanor in Massachusetts, punishable by up to two years in prison. David Torrisi, executive director of the Commonwealth Dispensary Association, said the state should crack down on unlicensed online delivery services. Right now, the medical marijuana dispensaries he represents are the only operators allowed to deliver cannabis. But they are undercut by rogue operations that masquerade as legitimate by selling T-shirts or juices along with one-eighth of an ounce of cannabis, for $60. But advocates say it would be wrong to keep jailing people, potentially in racially disproportionate numbers, who are filling a void for consumers who lack legal choices. In January 2020, the cannabis commission and Attorney General Maura Healey must report to the Legislature on the status of the illicit market and recommend punishments for unlicensed sellers. For that effort, researchers are monitoring a wide array of data — sales, prices, product availability, arrests, and surveys about consumption.